Vortex™ extinguishes small fires in large rooms in naturally ventilated environments. The average Vortex™ droplet size is less than 10 microns, using a minimal amount of water, released per emitter - as little as 3.8 liters per minute - virtually eliminates any wetting in a space. 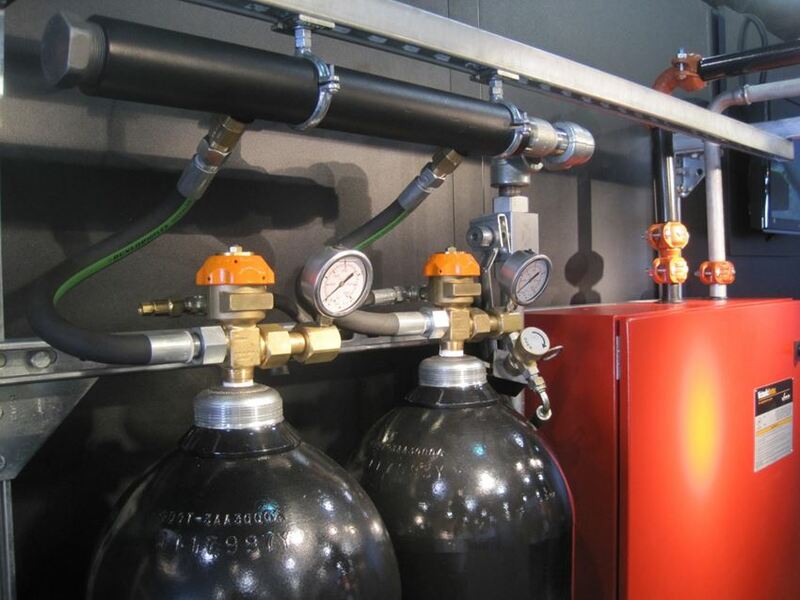 The Vortex™ fire suppression system provides the best capabilities of both water mist and inert gas systems. Ease of design, minimal wetting and advanced fire suppression capabilities all give the Vortex™ system the advantage over existing systems. The homogeneous mixture of water droplets and nitrogen gas is propelled with enough energy to overcome the drag effect that has limited the effectiveness of traditional water mist systems. Through water droplets smaller than white blood cells and a naturally occurring gas – nitrogen, discharged from a single emitter, the Victaulic Vortex™ fire suppression system efficiently absorbs heat and reduces oxygen to extinguish fires.